Looking for inspiration to create a stunning contact us page? Your contact page plays an important role in turning your website visitors into customers. Let’s take a look at some incredible contact page examples, and discover how to start using a contact page to land new clients. Using images of real people on your contact us page is one of the best ways to make your brand seems more personable. Aside from displaying images, Choice Screening also used a header that says Talk to a Human. They reassure their customers that their emails will be seen and read by a human and won’t be buried in their inbox. They also use a big contact form with many fields on their page to weed out unqualified leads from submitting forms along with a call to action that says talk to a human. Use a WordPress theme like Zerif that allows full-width header images. Add copy reassuring your visitors that their messages will be read and responded to in a timely manner. Consider creating a multi-page form to get all the information you need without scaring away visitors. 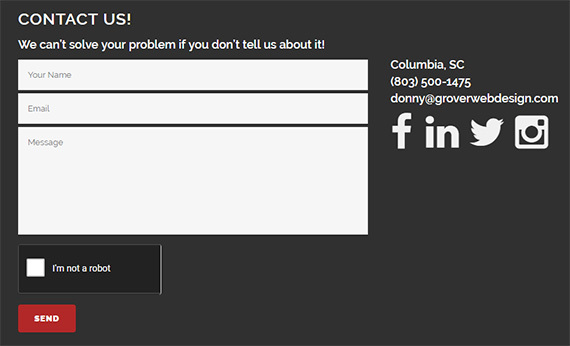 GWD uses a simple contact form with a CAPTCHA feature to prevent spam submissions. The best thing is users can easily pass the CAPTCHA by simply selecting a checkbox. The contact us page also includes a physical address, e-mail address and links to their social media profiles. Add reCAPTCHA to your forms to prevent spam entries. Use an HTML field in your form to add social media icons. If your business relies on customers coming to a physical location, you might want to use a big map on your contact us page just like the Den Ersten’s page does. This way you can show how your customers can reach you out and help them easily navigate to your shop. They also use a short and beautiful contact form on their page, which perfectly fits into their page. Add a map to your contact form. Shorten your form by using conditional logic to hide fields until needed. 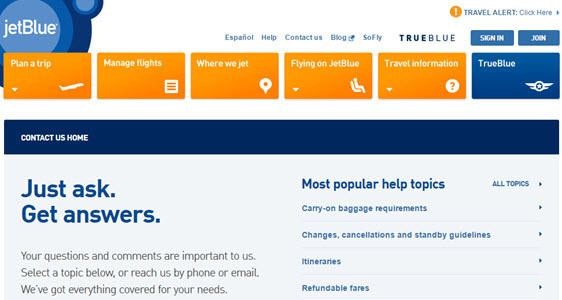 JetBlue’s contact us page contains direct links to popular help topics and answers. If users can’t find answers for their pertinent questions, they can easily reach out via email or phone. The main downside of their page is that JetBlue doesn’t use a contact form. This can be frustrating to users who urgently need to contact them. You may also want to read 8 reasons why having a contact form is essential for your business. Create a FAQ or knowledgebase on your website with a plugin. Tune features a beautiful hero image at the top of their contact us page. On the left side just below the hero image, they describe their company and also explains why new prospects should contact them using their form published on the right side. The contact form is kept targeting new prospects, so they can easily send pre-sale queries. Just below their form, they also feature a call to action targeting their existing customers. The downside of this page is that some of the existing customers may also use the contact form for support related queries instead of submitting them through the support page. Make sure to optimize your header images for faster loading speeds. Use the Request a Quote template to quickly create a pre-sales form. Of course, we couldn’t resist adding our own contact page to this list! The above the fold section of our contact us page is split into two sections: one for existing customers who may have a technical question and another for pre-sale queries. The contact form is hidden by default. It will only be displayed once the Complete a Form button is being clicked. By hiding the form, it reduces the size of the page tremendously. It also assures that only new prospects use the contact form because it is placed in the pre-sales queries section. Create a contact form popup that only appears when a button is clicked. Create a wiki knowledgebase in WordPress to provide support for existing customers. 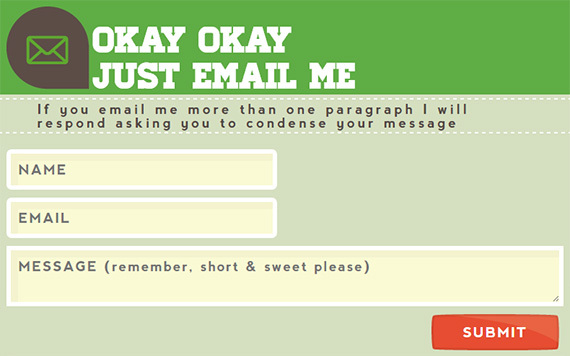 QuickSprout features a unique infographic in their contact us page explaining the number of emails they get daily. You’ll only reach the contact form after scrolling through the infographic. The infographic also explains what kind of emails would get a response and what kind of emails would be neglected without reading. The form also instructs visitors to make the message short with no more than one paragraph. If you’re looking to filter out any unrelated queries to save time, QuickSprout’s contact us page is a good example for you to follow. Give your readers information on how long a response time they can expect, and why. Customize your placeholder text to make sure your visitors fill out your form correctly. 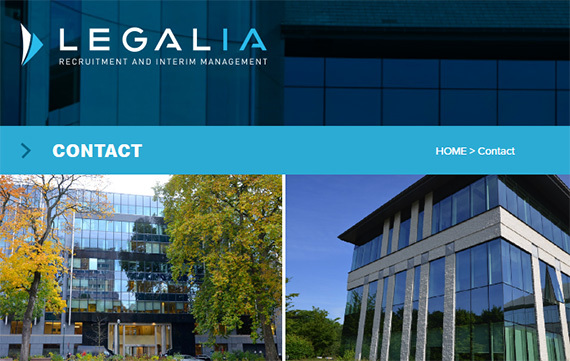 In order to make the contact form look short, Legalia uses a multi-column form on their contact page. They also provide details of the physical addresses of their office and includes other useful info like phone and email address. Another important thing to be noted is that they included only LinkedIn’s profile icon on their contact page. This makes sense because they’re a B2B company and their target audience is likely to hang out on LinkedIn. Add images to your form to show off your offices or your team. Use a multi-column form to save on space. We hope this article showed you some cool contact us page you can take as inspiration to create your own. 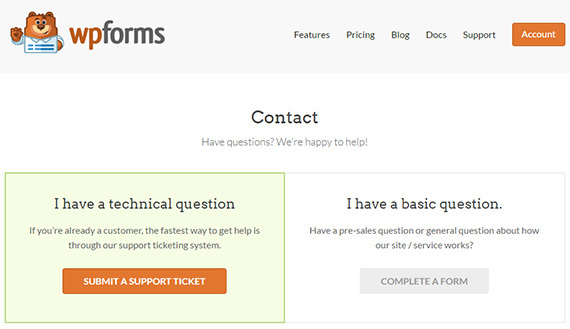 With WPForms, you can easily change the look of the form the way you want. You can read how to style your contact forms in WordPress.